Matrix Catering have a long standing history in the design, development and manufacturing of high quality vending, catering and dispensing equipment. Matrix have developed and refined an extensive range of vending machines and have developed a well-deserved reputation for excellence within the industry. This experience covers all areas of the business from manufacture and supply of our own machines to concept and production of bespoke machines with complete confidentiality. The Company was formed in 1994 and rapidly established a good reputation for manufacturing reliable 'Hot Drink' machines. The managing director, David Pearce, has presided over the steady growth of the Company from the first days of trading from a small trading unit in Maldon, to its current purpose built and owned factory in Wickford. 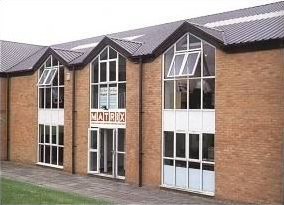 Matrix has consistently bucked the trend in the UK manufacturing sector with increased demand for its products, due to innovation and ongoing technological development. Our machines are renowned for their quality and durability with the latest Magnum range being used daily in busy high street retailers. Aug 1994 The Company launches the Regent, Sovereign and Monarch machines. May 1995 Avex '95 proves to be a tremendous success for the Company. Oct 1995 Exports reach 35% of total production. May 1997 Avex '97 is the launch platform for the new Café range. Sep 1997 The Company purchases its own factory unit at Wickford, Essex. Jan 2000 Several new machines, including the Classic Range, are put into production. May 2001 Avex 2001 is used to launch a re-engineered Convex series. Jan 2002 The Company undertakes a major research and development project that leads to the introduction of the 'Mini 3' machines. The 'Mini 3' uses the latest technology and is hailed by the catering industry as 'one of the most reliable canister based table top machines available today'. Sales to date seem to confirm this view. May 2003 Avex 2003 is the springboard for the new Classic Gold, Silver and Bronze range of machines. June 2003 The new 'Vision' 1 and 3 machines are launched. June 2004 The Company have had great success with the Classic 4 & 6 range and decided on introducing the Classic 3 and the new exciting Xpression range. All have the very latest technology and upgraded mixing system. May 2005 AVEX 2005 The new Classic and Xpression ranged are launched. Jan 2006 The development of the all new Mini Monarch and Maxi Sovereign with in excess of £85,000 invested in new technology and tooling. April 2010 Introduction of the Mini Magnum, an immediate best seller. 2011 onwards Regular trade shows and exhibitions including VENDEX in Birmingham and Manchester. If you would like any further information about one of our products, simply fill in this form and send to us and one of our team will come back to you. Our machines are built to the highest standards - built for reliability and stability. Constructed by hand and thoroughly checked to our strict quality guidelines.